To register for a Fall Faith & Finances Class, call the Love INC office at 330.473.6017. Faith & Finances is a curriculum produced by the Chalmers Center in Georgia, and facilitated by Love INC of GHC. The curriculum educates people on money management in a 12-week hands-on and interactive course held in a church. The participants are matched with one or more allies – Christian mentors – to walk with them through the classes as well as continue meeting with the family beyond the 12 weeks. Our Faith & Finances classes include involvement of local churches and volunteers. Martins Creek Mennonite Church hosts this ministry, providing volunteers to serve the meal, clean up and offer snacks and drinks. Their hospitality ministry creates a warm, inviting environment. During the class, everyone has a chance to get to know each other, and a safe space to share is created. Everyone comes to the table from different places in life, yet it is soon discovered that there are common threads in each and every situation. What have you found valuable in Faith & Finances? Through the rich conversations that the curriculum invites, everyone is a part of the contribution and learning from each other. Many effective financial tools and concepts are not just learned, but are practiced throughout the 12 weeks and beyond. 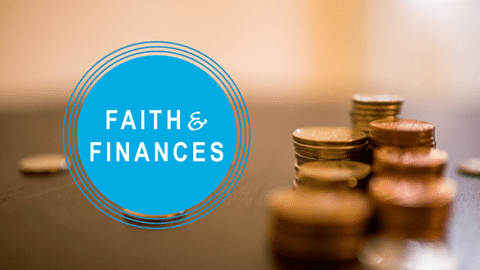 How has Faith & Finances affected your finances? The Faith & Finances curriculum explores how our faith and Christian walk are intertwined with our finances. ​How has Faith & Finances affected your faith?